Detonation or "knocking" can destroy an engine in no time flat leaving you with a repair bill that can cost you thousands of dollars. So how do you KNOW that you are knocking BEFORE it's too late? The TurboXS KnockLite (TM) will detect even minor, inaudible detonation and flash the multicolored LED to alert you to the knock so that you can do something about it before it's too late. 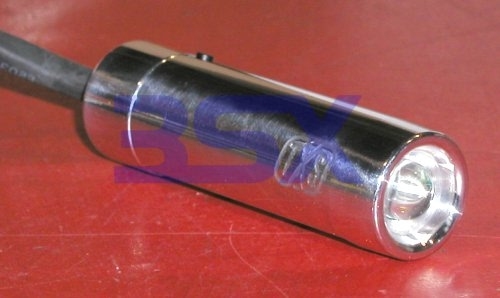 The KnockLite is a must-have product for anyone that is modifying their engine for more power. The KnockLite wires into either your factory knock sensor or into separate knock sensor (sold separately) that is mounted to your engine block. Knocklite is a cheap insurance when you`re tuning and racing your engine, especially on hot days when intake temps get too high! As any tuner knows, the demise of numerous engines, particularly highly tuned, forced induction engines has been attributed to engine knock. Even though highly tuned forced induction engines are at most risk, engine knock is a condition that should be avoided for all engines. The KnockLite has evolved from the knock detection work that was done on Turbo XS UTEC with the aim to provide the same functions but in a smaller and more universal package. The KnockLite is also a standard item supplied with the TurboXS DTEC range of Fuel and Boost computers. TurboXS tested various knock detection units on the market and it found that many units only had one level of sensitivity regardless of RPM. This could easily give the false impression of no knock at low RPM. The semantics of knock, pre-ignition, or detonation can be argued among automotive engineers, however it is basically an uncontrolled ignition of the air fuel mixture. The uncontrolled part means that it doesn’t occur at the desired time in the combustion cycle. Normally the timing of the ignition is designed to maximise pressure in the cylinder so that it will push the piston down with the most force. Knock can cause high cylinder pressures at times when it actually counteracts the force and also cause shockwaves within the cylinder. It is the shockwave that emits the characteristic "tinkling" sound you often hear when the engine is knocking. In reality by the time you hear knock the chances are that the engine has been knocking for a while. Car manufacturers are continuously researching better ways of detecting knock and in the future we may see more direct methods such as pressure sensors and ionised current measuring however the majority of cars still use an indirect method of detecting knock by listening to the ringing sound of the cylinder using a piezoelectric knock sensor. The task of detecting knock is to detect the characteristic sounds of knock above the background engine noise. By filtering out the engine noise, it allows the detection of knock at the earliest stage possible. 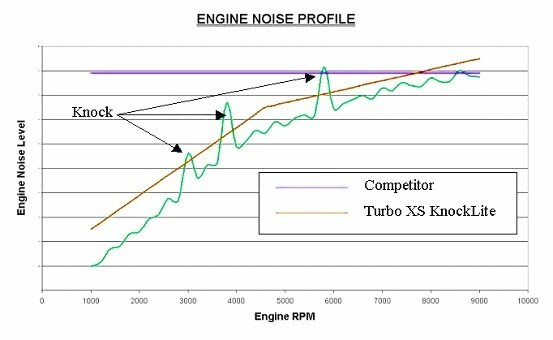 The task of filtering out the noise is no simple task as the level of engine noise changes with RPM. Thus for a knock detection system it is important to be able to vary the sensitivity over RPM. If you only have one setting then the knock detection will be sensitive to knock at high engine noise (high rpm) but there will be a reduced sensitivity at low RPM. 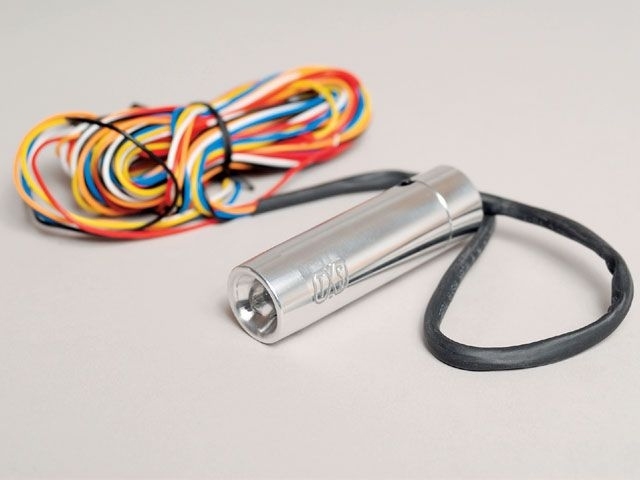 The KnockLite system connects to a broadband frequency knock sensor such as a Bosch knock sensor, but it can also be connected to a suitable factory sensor. It is very important to carefully position the knock sensor on the engine as you are trying to detect the ringing of the cylinder and so this has a major effect on the performance of any knock detection system. The actual mounting of the knock sensor and the torque setting of the mounting bolt is important as well to provide the best contact for the knock sensor. Under normal operation the KnockLite measures the RPM and adjusts its sensitivity to suit. It then measures the engine noise and determines whether knock is present. 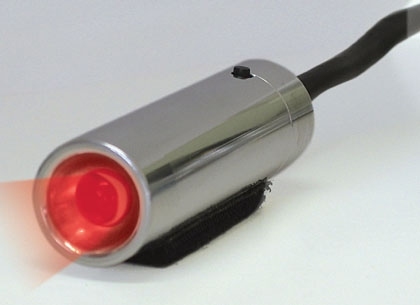 If knock is detected it will determine how severe the knock is and flash either an amber or a red LED. The KnockLite initially needs to learn the characteristics of the engine and this is done by activating the KnockLite program mode. In program mode you rev the engine to three separate RPM points and capture the engine noise levels from the knock sensor using the Program pushbutton. This is done over three points in the RPM range so that the KnockLite can determine an engine noise profile. Once calibrated the KnockLite sensitivity can be increased or decreased using the Program button. The KnockLite uses a RISC processor (which is a fancy name for a small micro-controller) to process the knock signal, determine the RPM and store all the calibration information in its non-volatile memory. TurboXS has developed a series of engine management computers called the UTEC, which supplement the factory ECU. The WRX, STi and EVO UTEC’s all have a knock detection circuit and software which provides active knock control when knock is detected plus a visual warning of knock to the driver. It has been a favoured feature of the UTEC and TurboXS has received numerous positive comments about it. The KnockLite evolved from the knock detection work that was done on the UTEC’s with the aim to provide the same functions but in a smaller and more universal package. The KnockLite is also a standard item supplied with the TurboXS DTEC range of Fuel and Boost computers. TurboXS tested various knock detection units on the market and it found that many units only had one level of sensitivity regardless of RPM. This could easily give the false impression of no knock at low RPM. As a bonus, a shift light function has been added which is easily programmed by revving the engine to half the desired shift light RPM point and pressing the Program button. If the engine RPM exceeds the shift light RPM point it will turn on a green LED. The KnockLite requires power, ground, knock sensor signal and an RPM signal. The RPM signal can be taken from either a tach signal, which is common on most cars, or even from the points on an older car. The KnockLite is packaged in a machined billet aluminium case and comes with full instructions for fitting and calibrating.